Having read so many great reviews about the Broadway show Gypsy, fans are eager to buy tickets to the show that has made even critics its die hard fans! The show is now playing at the St. James Theater, 246 West 44th Street. The run time is 2 hours and 30 minutes with an intermission of 15 minutes. The show has gained more attention on account of its star Patti LuPone who has received critical acclaim on what is being hailed as one of her best performance to date. 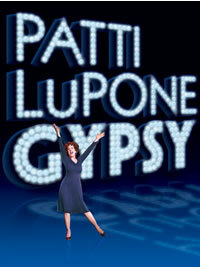 The Broadway show Gypsy is directed by Arthur Laurents. The choreography is by Jerome Robbins, music is by Jule Styne and the lyrics are by Stephen Sondheim. The sets are by James Youmans while Martin Pakledinaz has designed the costumes. The Broadway show Gypsy has a truly excellent cast with Patti LuPone playing Rose and Boyd Gaines, who is smitten by Rose playing Herbie. Laura Benanti as Louise and Leigh Ann Larkin as Dainty June play the parts of Rose’s daughters while Tony Yazbeck plays Tulsa. The cast also includes Marilyn Caskey as Electra, Lenora Nemetz as Mazeppa/Miss Cratchitt and Alison Fraser as Tessie Tura. You can learn all you want to about the Broadway show Gypsy, get details about its schedule, ticket prices and read reviews at the website of an authorized ticket broker. It is fairly easy to secure front row tickets to shows that have been sold out too, if you just get in touch with your authorized ticket broker. The show has been running to capacity since word got out about Ms. LuPone’s powerful performance that makes one believe that she is indeed Rose and not Patti anymore! The director and the leading star have brought to life a very powerful and moving performance that many will remember for years to come. The sets, the costume and the music have all been blended with perfection, adding more depth and reality to the show. It is a fact that there are still a few critics who compare the revival with the original and find it lacking; however, it is also a fact that Ms. Lupone’s performance has greatly improved since the summer. Why not check it out by buying tickets today and have a great time with your family. Be warned that the show may not be appropriate for children aged 6 and below and remember that children below the age of 4 are not allowed entry. You can book premium Gypsy tickets or buy cheap tickets to the show by logging online and purchasing them from an authorized ticket broker. Your tickets come with a guarantee, so you need not worry about the security of the information that you provide as authorized brokers use encrypted servers as well as other software that keeps their website protected and hacker free. Why not plan a trip to the Big Apple, take in the sights and have a great time at the Great White Way by enjoying an evening watching Gypsy?